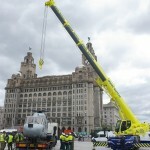 Liverpool held the main commemorative event to mark the 70th anniversary of The Battle of the Atlantic. 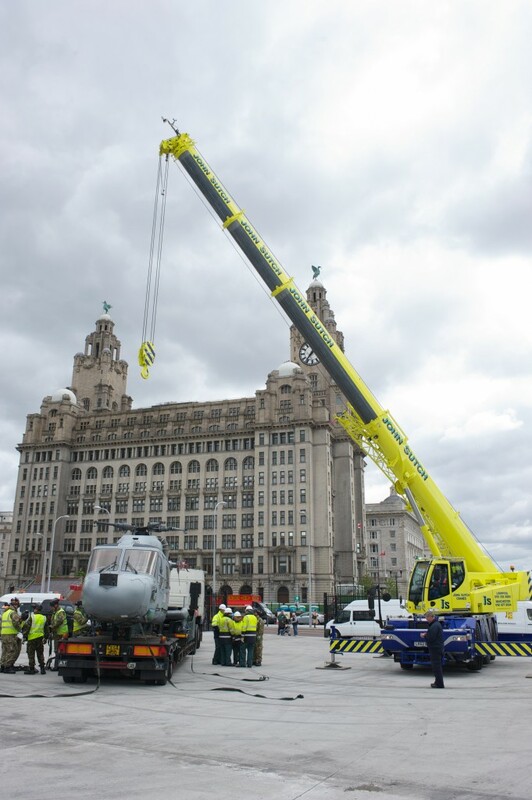 Liverpool was the destination of many wartime Atlantic convoys and home of the Western Approaches Command. 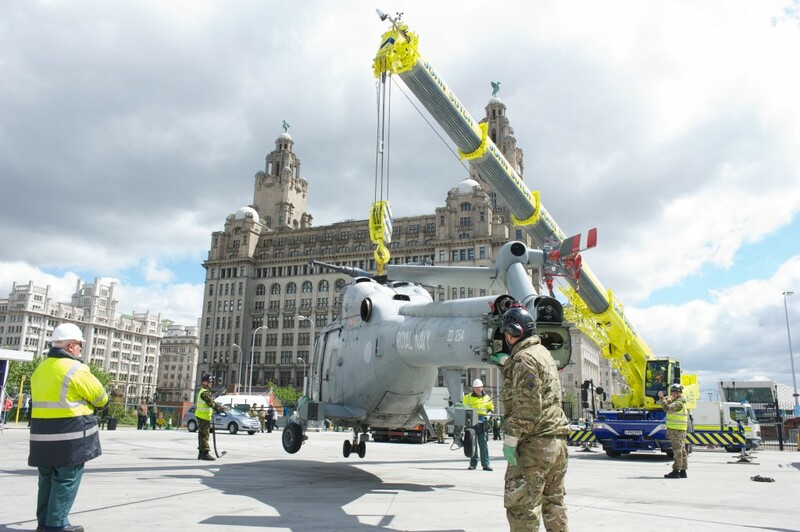 The Cammell Laird shipyard in Birkenhead, was vital to the battle as its 12,000 staff worked around the clock to build a warship every 21 days. 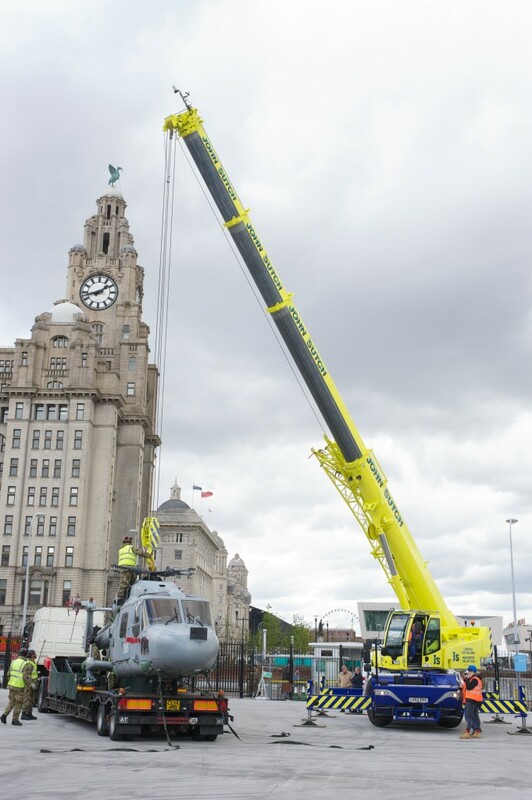 Not only did twenty-five warships sail into port to mark the milestone, the organisers also wanted to have large Royal Navy exhibits on land. 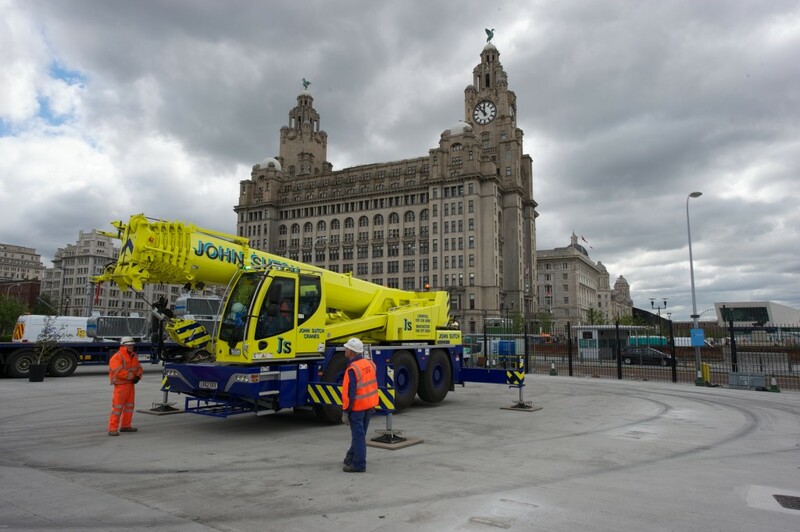 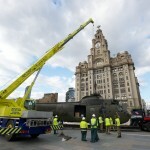 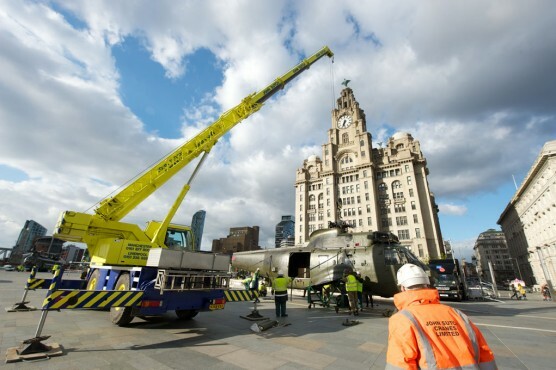 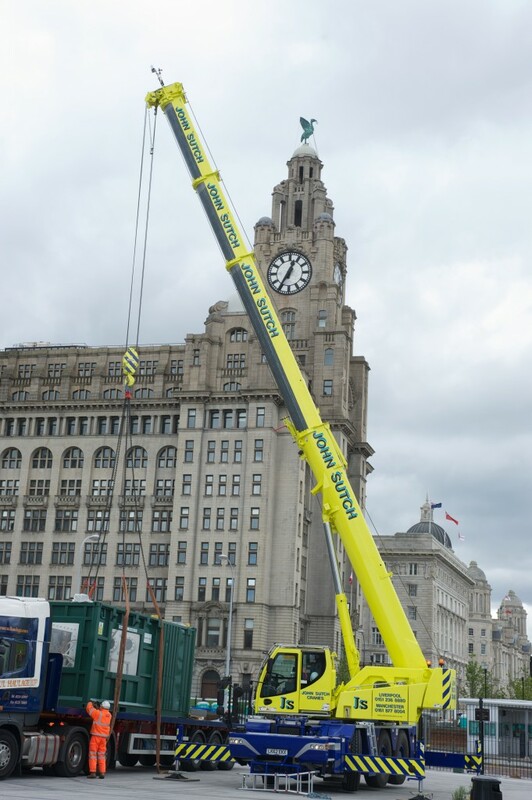 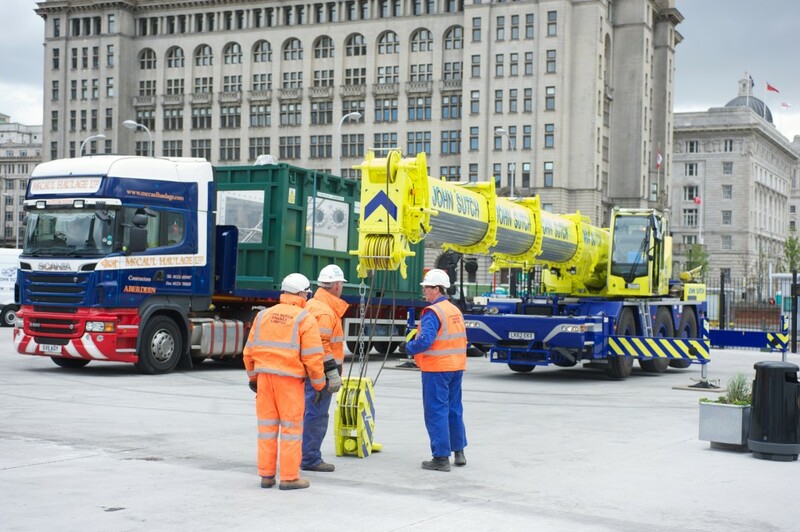 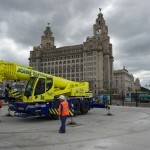 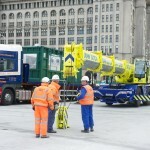 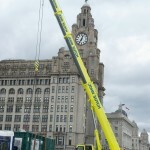 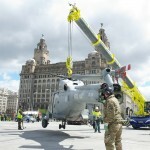 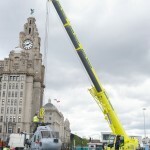 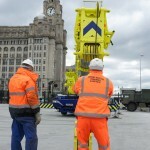 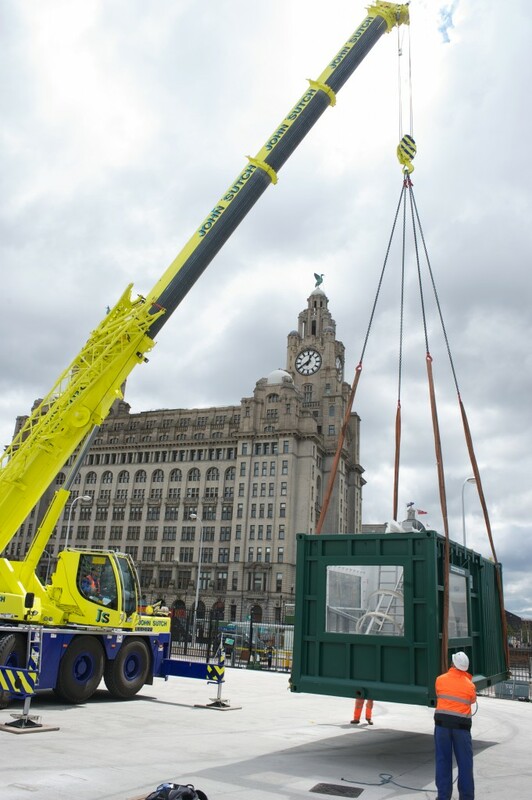 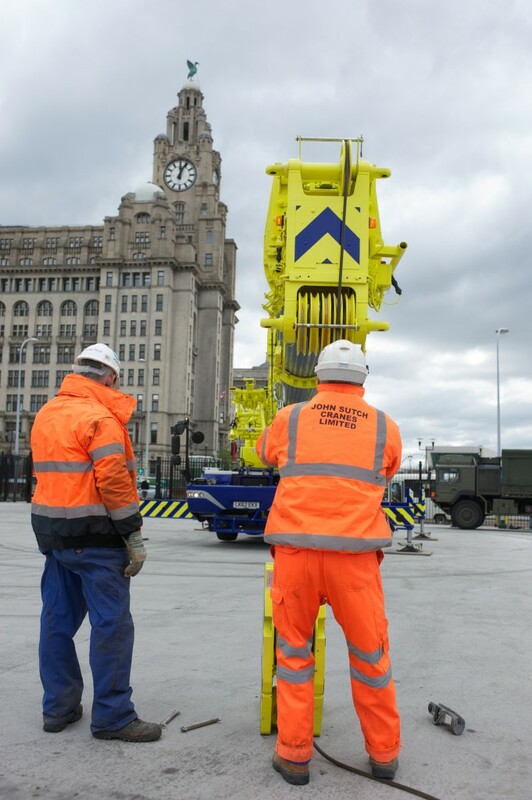 A John Sutch Cranes team planned and executed the lifting required to site three large exhibits onto the Pier Head. 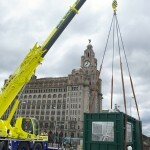 Using our expertise to enable the organisers to achieve their plans for the open air exhibition. 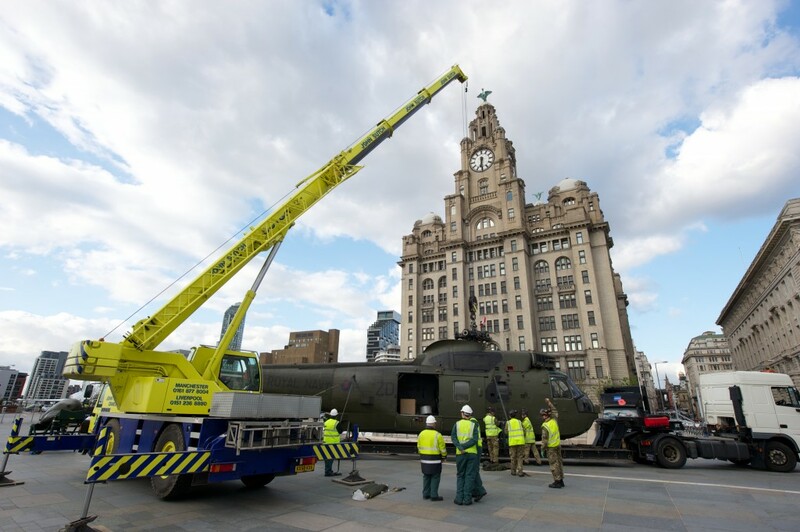 We were delighted to be part of this national event and greatly enjoyed liaising with our colleagues in the Armed Forces.